Three ethnic armed organizations not recognized by the previous military backed government as part of the Nationwide Ceasefire Agreement have said they are prepared to attend upcoming political dialogue if they are invited. The three armed groups – the Myanmar National Truth and Justice Party/ Myanmar National Democratic Alliance Army (MNTJP/MNDAA), the United League of Arakan Army/Arakan Army (ULA/AA) and the Palaung State Liberation Front/ Ta’ang National Liberation Army (PSLF/TNLA) were all excluded from the NCA. The three groups have now issued a position statement to attend the 21st Century Pinlong Conference which is scheduled to be held on August 31, 2016. The three groups put out the statement after the Union Peace Dialogue Joint Committee (UPDJC) decided at a meeting on August 15 in Naypyidaw that armed groups that did not signed the NCA should have the right to take part in the peace conference. Colonel Tar Hpone Kyaw of the TNLA spoke to Karen News about the statement. 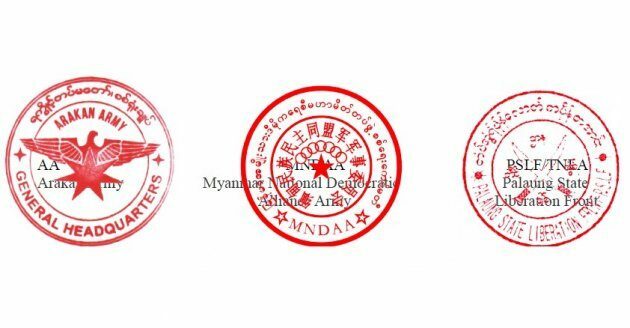 Restrictions on all-inclusiveness was placed by the NCA, that was signed on October 15, 2015 under the Thein Sein government. The three armed organizations were excluded from signing the NCA that led to several other armed organizations withdrawing from signing the NCA. A position statements put out by the Burma Army regarding the all-inclusiveness at the Pinlong conference made it harder for the three groups to attend the conference. Major Kyaw Han form the Arankan Army spoke to Karen News about the issue. The statement issued by the three armed groups said that the groups would like to take part in the latest peace process managed by the government, military and ethnic armed organizations and said that they want to stop fighting against each other and to try solve problems through political dialogue.